For the Ramadan season, we encourage you to gather your family and friends to celebrate a very special reunion in your meaningful life as you all welcome to the Enak KL, Starhill Gallery so you won't miss this! To experience the Malay dining cuisine with celebrate our importance of holy Ramadan on my first time, my good friends, Woan koon, James and I love to try the flavors of Malay dishes without MSG and oil so much because Enak KL concern more about the healthy, flavours and aromas can bring you enjoy to smell a very delicious dishes with the traditions of home cooking by the Malay generation, it make you recall about your mummy's cooking so yummy! 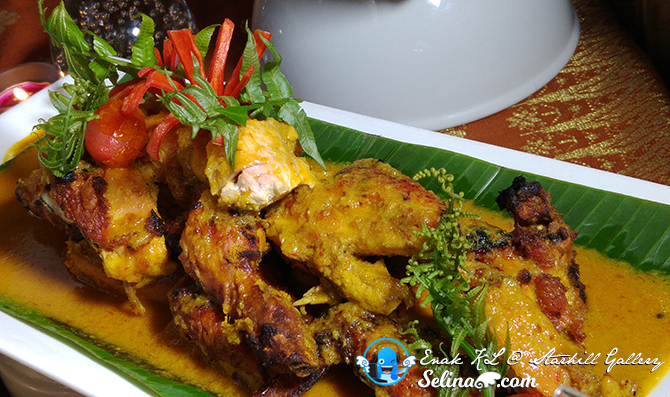 Enak KL's combination of delicious authentic cuisine and heartwarming service has won them numerous awards. 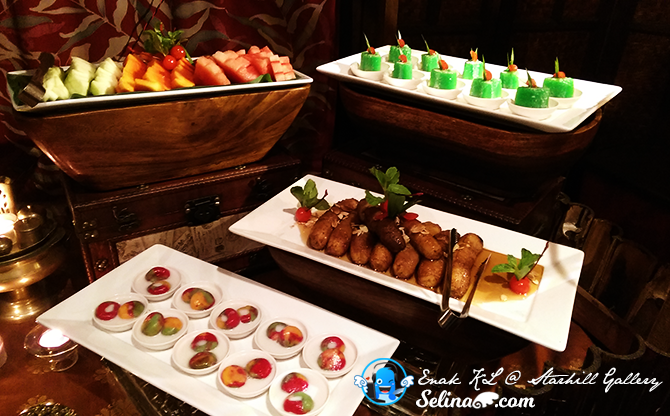 Leveraging on their focus to bringing traditional Malay cuisine to the fine dining population, Enak KL has won many well-deserving accolades. 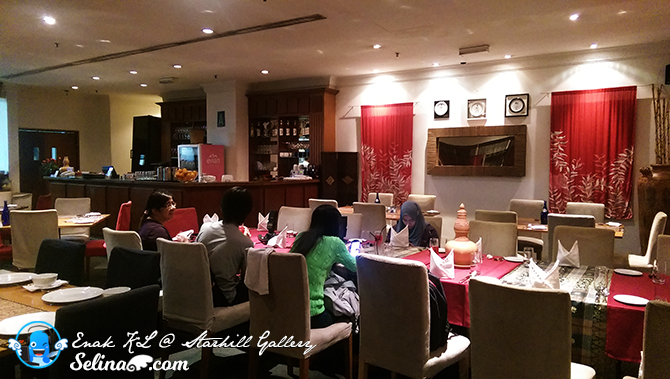 When my friend and I reached the Enak KL in Starhill Gallery, I admired a very beautiful traditional kampung dining area with the rich of Malay culture. 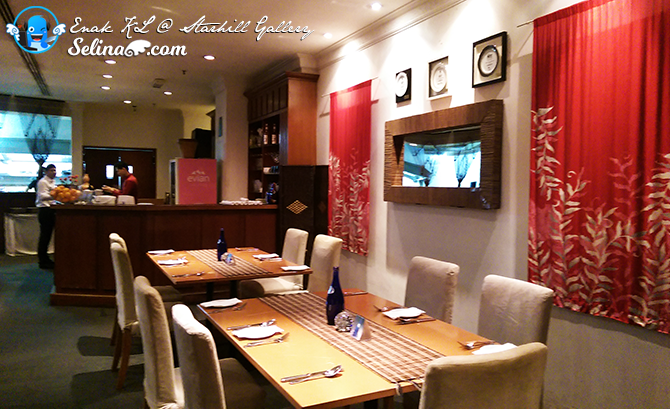 The fine attention to detail is evidenced from the elegant and cosy ambience that we have at Enak KL. It is almost like a trip down memory lane to the good old days when you visit your great grandmother for a family dinner get-together. That is why they win the heart of local and international people with the richness of the food culture in Malaysia! While we are waiting for another friend, James, we tried to explore around the Enak KL, as we saw the different of kind Malay dishes included the desserts. 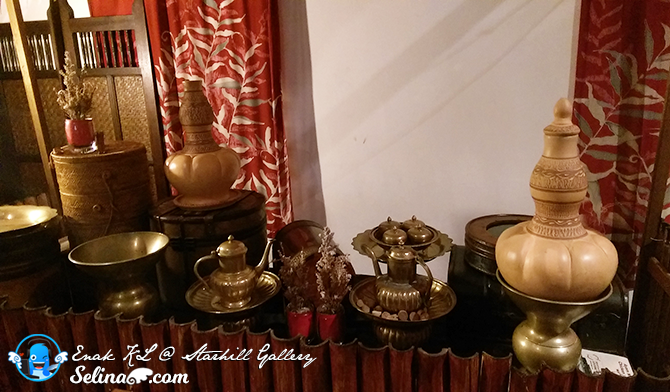 The traditional of kampung decoration bring the simple warm of feeling to every Malay families who love it so very much. It make me remembered that my grandparent used to mix with their closet Malay neighbors since they always decorate and prepare the Malay and Nyonya dishes when they live in the peace together since I was in their hometown! 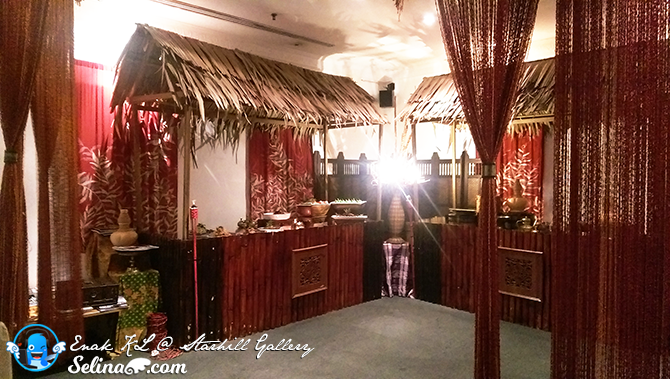 Their cultural decoration be immersed in the enchanting of traditional local things which used by Malay community. 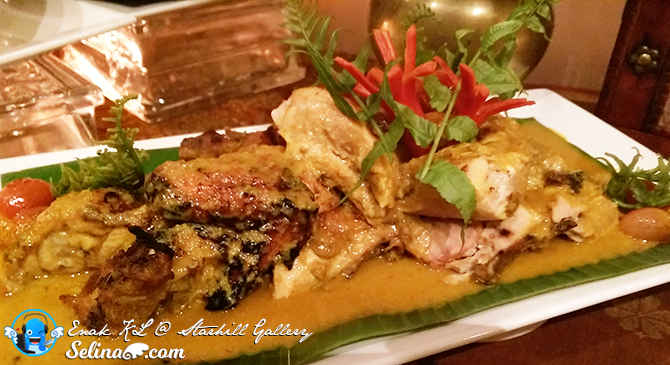 Tempt your palate with a variety of authentic Malaysian tastes and flavours. 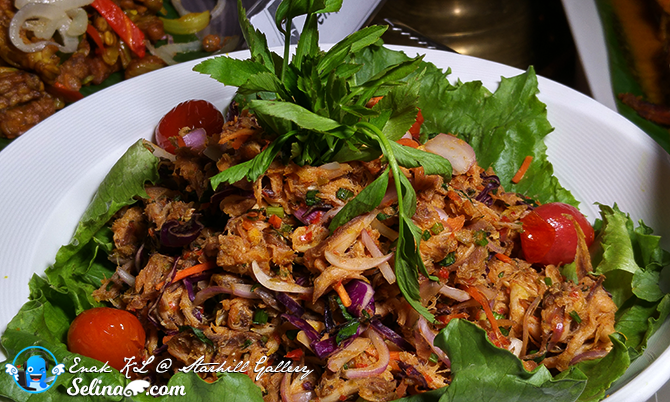 Simple yet scrumptious, the dishes of the rural folk are often made with garden vegetables and fresh local produce. 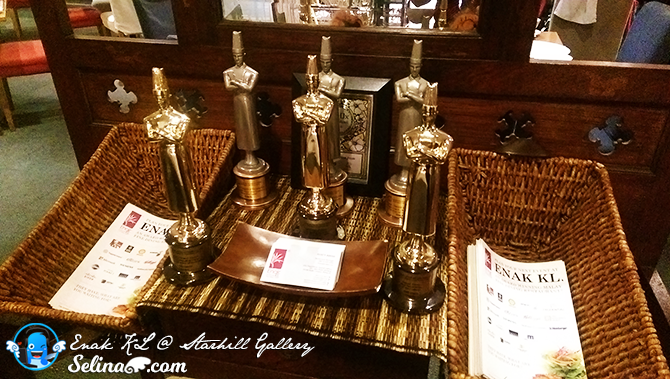 No wonder that The Enak KL won the food awards like TimeOut KL, Tourism Malaysia, KasehDia, and Malaysia Tatler in Malaysia! We used to eat the mango salad when it come out with chicken or anything, can. 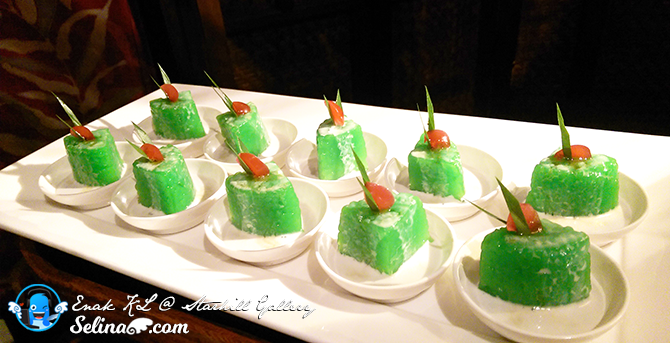 It is one of my dad's favorite Malay food to be served as the appetizer dish! Pergedel Kentang make my good friends and I fell love with the aroma of potatos so very much! It is very tasty! We want to eat this again again! Each potato-shaped ball are very soft and easy to be bite in our mouth as well! If we come to the Enak KL again, we sure will order this! 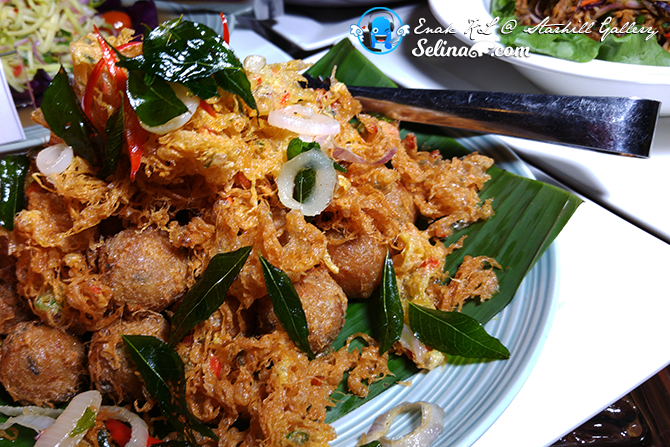 We love the Tempe Goreng, is special appetizer, also be Malay's favorite food too. Long time, we don't eat it because we not always eat because it only can found in the Malay restaurants in Malaysia only if you come to visit our country. 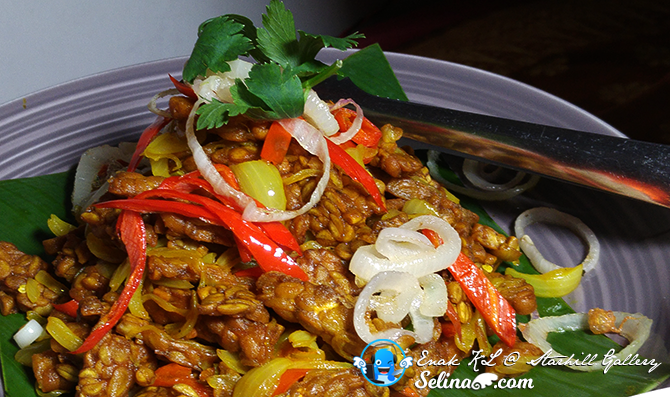 You should try Tempe Goreng if you never! Yummy! 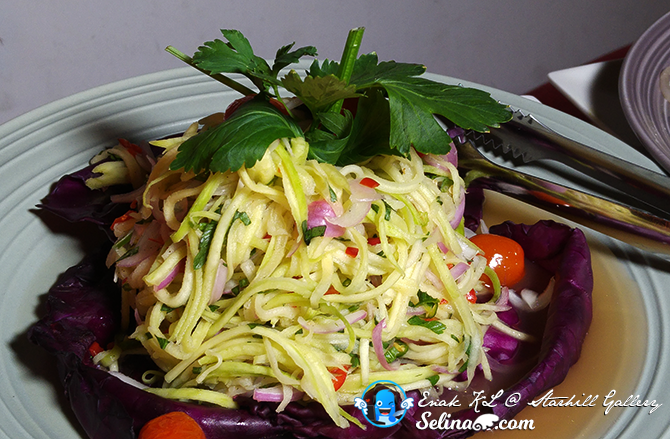 Kerabu Ikan Pari is my favorite! It is fish salad. You can put it to mix with the rice. It is very easy-recipe that your family can cook this. If you miss this, you can go to Enak KL during the Ramadan season! My family and I love Ayam Percik! The roasted chicken are cooked so well! 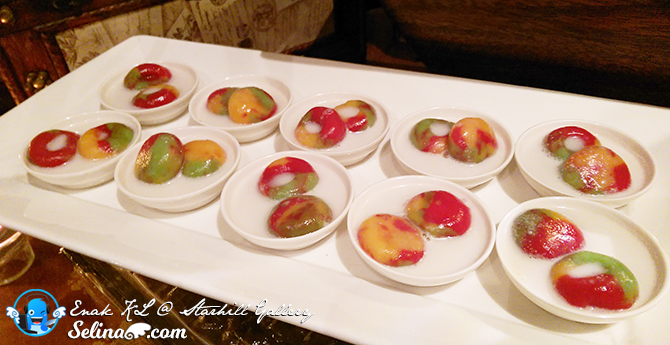 Filled with the sweet and smooth of Percik sauce so it is a popular Malaysian dish. 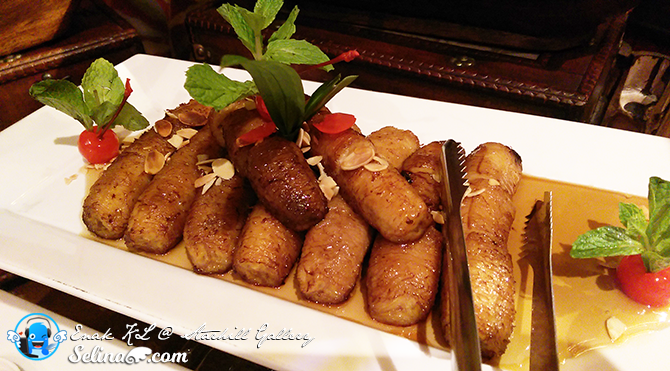 As I know, it also have mildly spicy, the rich of sweetness with packed by the lemongrass and coconut milk..
First time, I eat the Pisang Karamel so it is very special dessert by Enak KL? Normally, it is so sweet with tasty sauce when you used the simple recipe like the pisang, chocolate and cheese when you can cook it at home. It make me surprised that the banana dessert already be finish in few minutes only so fast! Wow. We want more again. 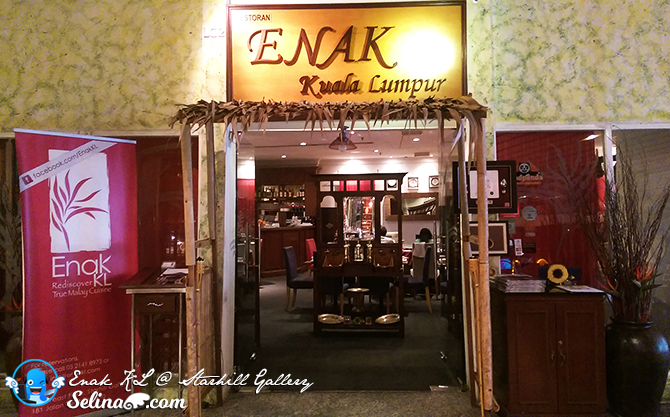 Enak KL owned and managed by Ms.Sherena Razaly. Sherena said the dishes evoked memories of her grandmother’s cooking which she enjoyed as a child. The authentic dishes underline recipes of over 120 years with Muar influence that has been passed down over many generations. 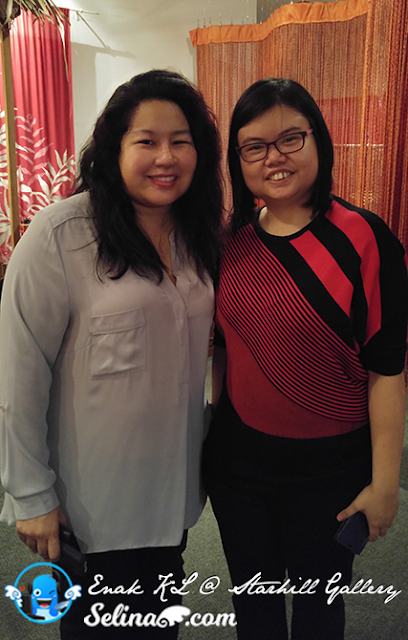 Her family take pride in their Malay culture food and they contain no MSG. 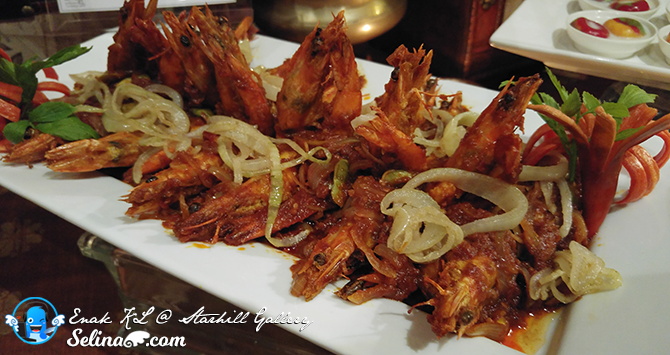 The flavours of the food come from using a combination of various spices. 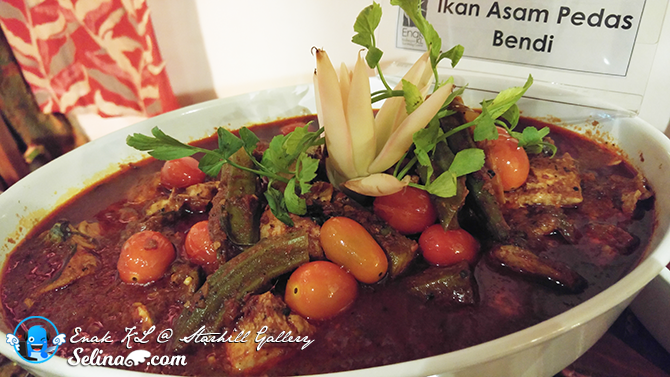 All looks as great Malay delicacies make you feel happy with your family and friends during the festive season. 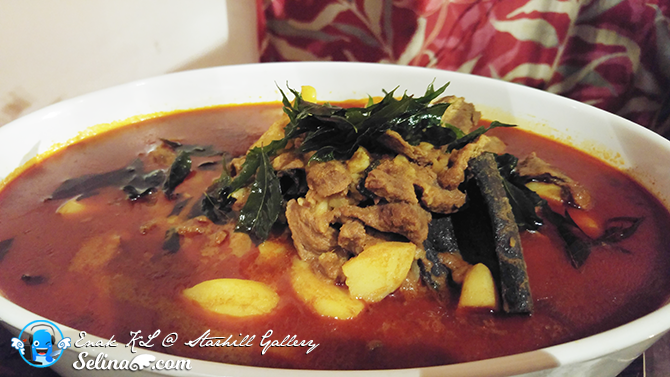 Miss traditional kampung-sytle cuisines since you away from your hometown so far? Call reserve now and jom buka puasa before all seats taken! *Note: Menu is on rotation basis and subject to change. Selamat Berpuasa to All my Muslim friends! Have a blessed Ramadan on this year! The food looks so delicious and the kampung ambiance looks to inviting :-D I love spicy! I am looking to Ramadan as it is a good time to get together with friends, and of course celebrate with all the traditional food. Thanks for sharing. The price is pretty reasonable for such wonderful spreads! woah! All the dishes served look delicious! Definitely worthy for buka puasa! oh yums! :D that's a lot of good food on the spread. worth the value for buka puasa! *Drooling* They have many varieties of foods there! wow they serve my favourite pucuk paku! would love to try some during this ramadhan. The food looks so yummy ! The price of the buffet quite cheap and i tell my malay friends to try this..
My mouth waters when I see Pucuk Paku Goreng Cendawan! That is so kampung style! Nice amabiance! I liked Kampung atmosphere and sago gula melaka. wow such an authentic Malay meal. Will tell my Muslim friends abt it. In the blink of an eye, Ramadhan is upon us already. Although I am non-Muslim, I really look forward to this holy month where I once again get to get special cuisine that is only available during this month, or at least, they are easier to get hold of! 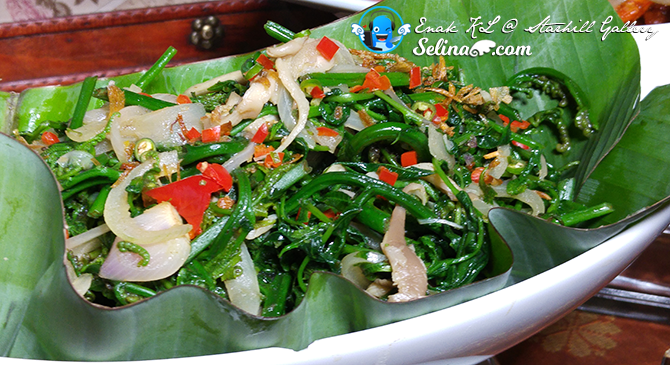 Of the selection you have shared here, Sambal Tumis Udang Petai looks most appetising! Ramadhan is a great time to have great meals. It has been quite some time since I last went to all these Ramadhan buffet. It is time to pamper myself with another tasty treat. quite an affordable feast to buka puasa with! should stop by to take a look. Certainly not the smartest thing to do, reading this while I'm thousand miles away from Home, Malaysia.